Testosterone. The word itself has a heavy, imposing sound, like a truck grinding over gravel. No surprise, this potent hormone plays an important role in your development. That’s why ABB innovates to provide you Tribulus Shot, the 1st-ever concentrated liquid delivery tribulus supplement to naturally support testosterone levels. With T. terrestris, T. aphrodisiaca, E. longifolia, and P. yohimbine, plus Arginine-AKG and caffeine, it’s clear: next time you step up to the bar, order a shot. 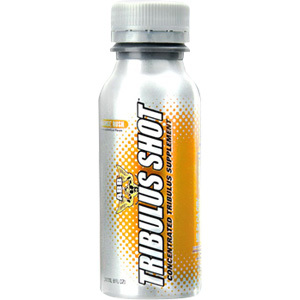 Tribulus Shot Orange Rush is shipped in a discrete, unmarked package. Orders are processed immediately and usually take about 3 to 5 working days to be received. We do ask that you try it for 2 to 3 weeks to feel the full effects. Any information received is used only for order processing and shipping purposes. Your information, such as e-mail address, will never be disclosed to a third party.